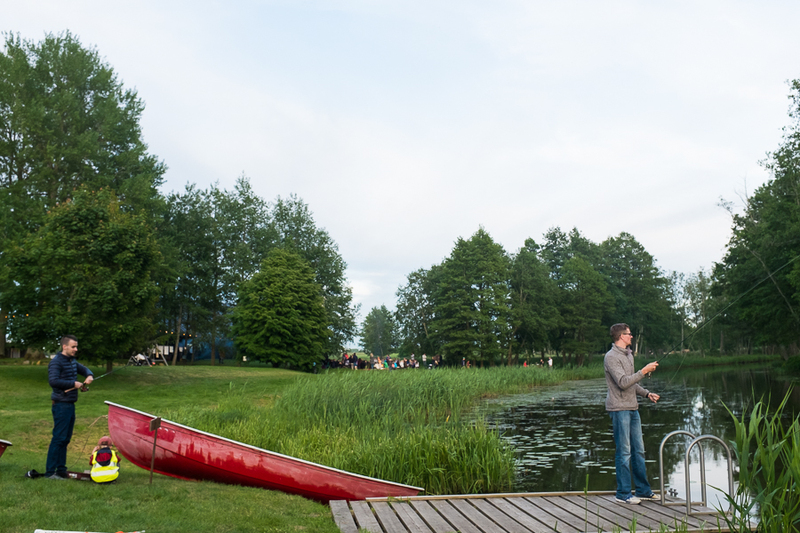 Following the volleyball camp our team was treated to a couple days outside of Riga. Following are some photos of what we found interesting. 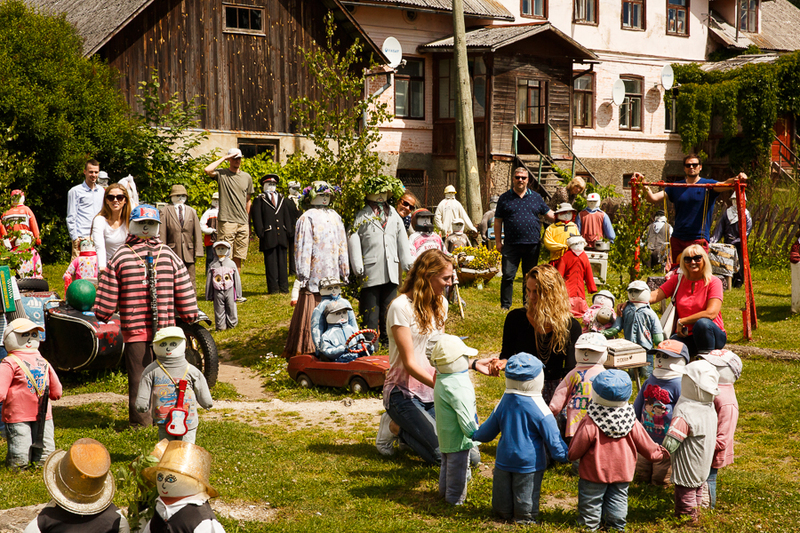 On our way to the mid-summer celebration we ran into the doll garden of Sabile. Sabile is famous for it’s wine production and apparently creepy life-sized stuffed dolls participating in random daily activities…needless to say we didn’t stay long…Can you guess how many real people are in this photo? 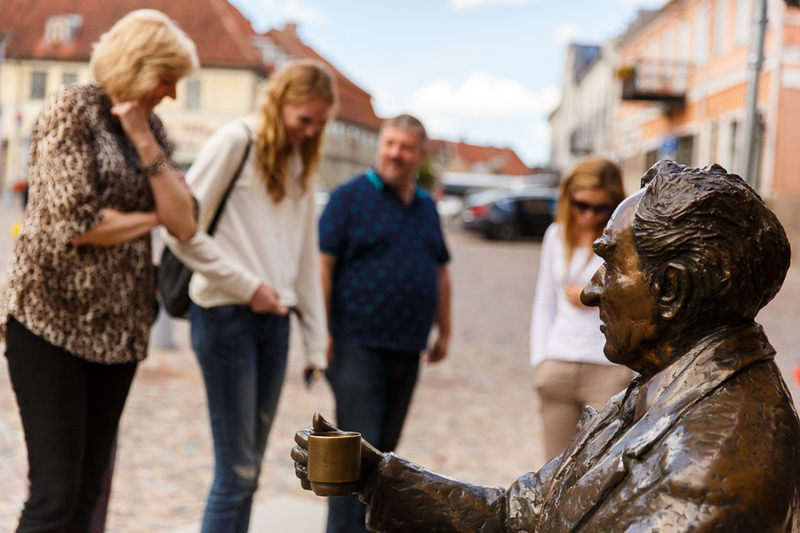 Also on our stop to the mid-summer celebration was the town of Kuldiga. 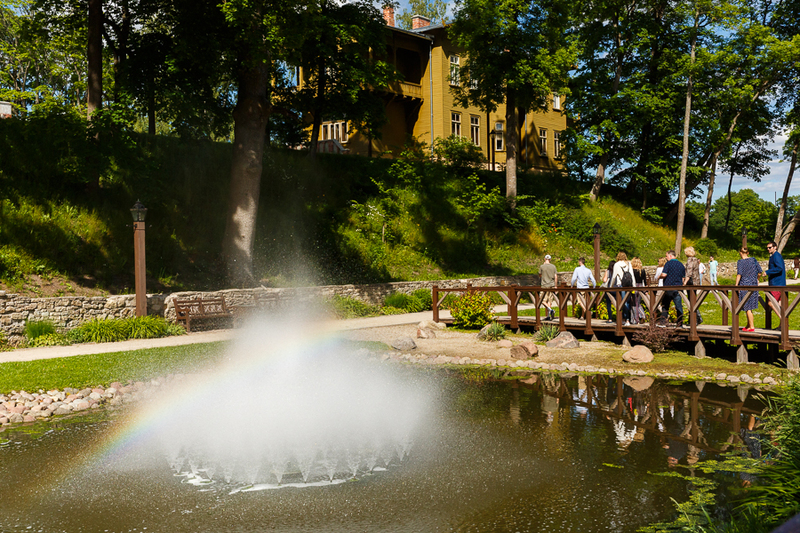 Kuldiga is a flashback to the past for Latvia and is frequently used as a filming site for Latvian cinemas portrayed in the 20’s, 30’s, etc. 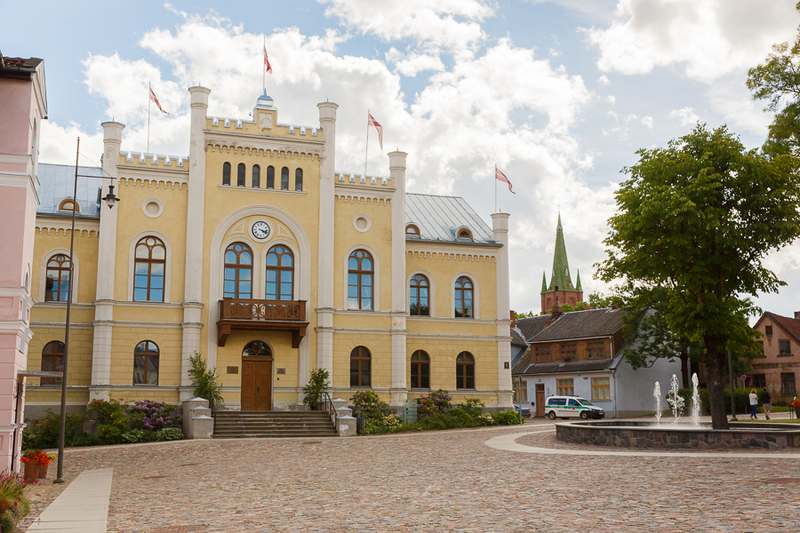 The town was most likely founded in the 1200’s and still has a wooden building from 1670! The founder of the town was best known for his exploits as an explorer. 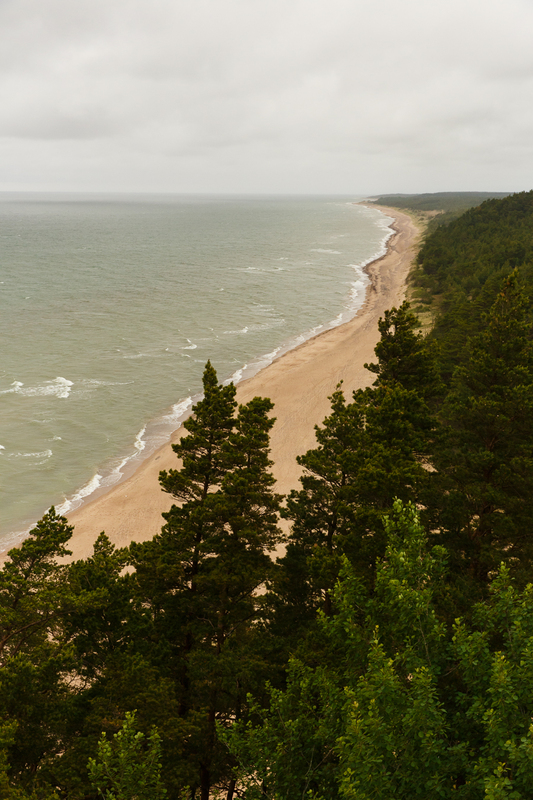 FUN FACT: did you know Latvia was the first country to discover Tobago? 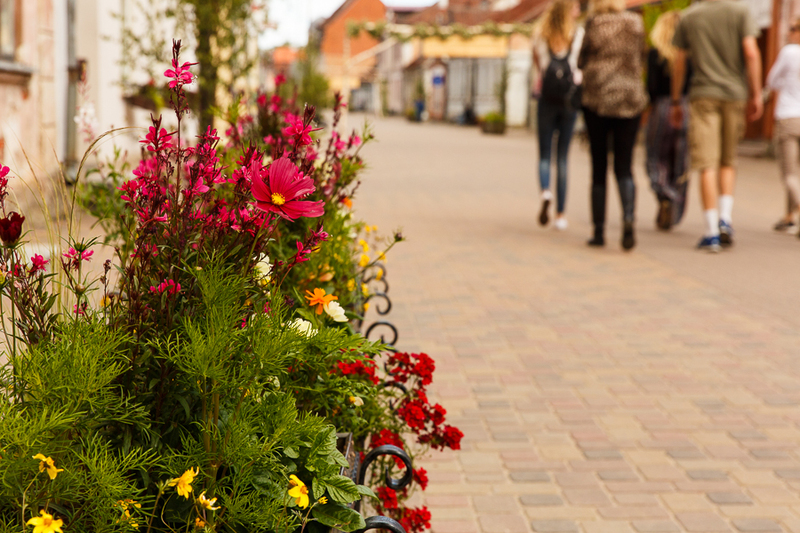 The town central of Kuldiga. If you watch enough Latvian movies there will be a good chance you will see this famous plaza. 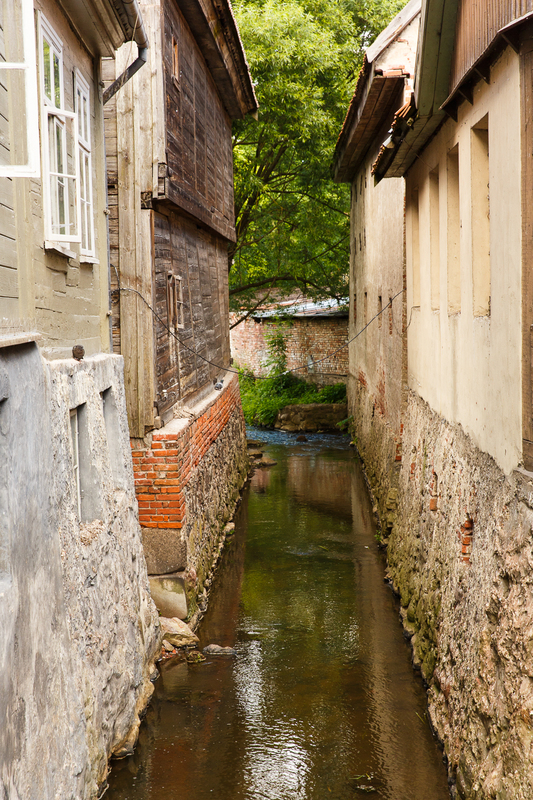 One of the many inner city channels that leads to the world famous Aleksupite river…more on this soon! 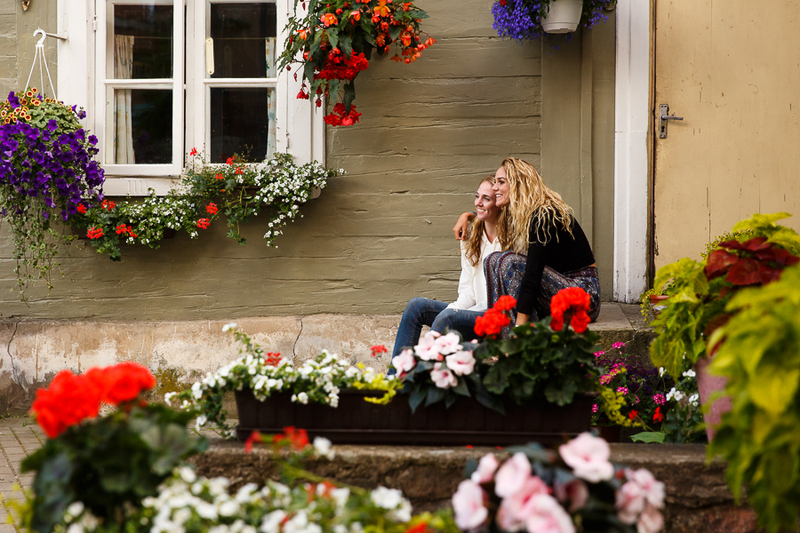 The gals found a beautiful little back porch for a photo. After the gals took a photo, Laura volunteered to take a photo of me (Marci) in the same spot. Not two seconds after sitting down, the owner of the porch opened the door and surprised us all. It’s so good Laura had the presence of mind to keep taking photos. I tried really hard for the lady to pose with me but she was too shy. The entire walk through town was gorgeous and this little water crossing was just a hint of what’s to come. 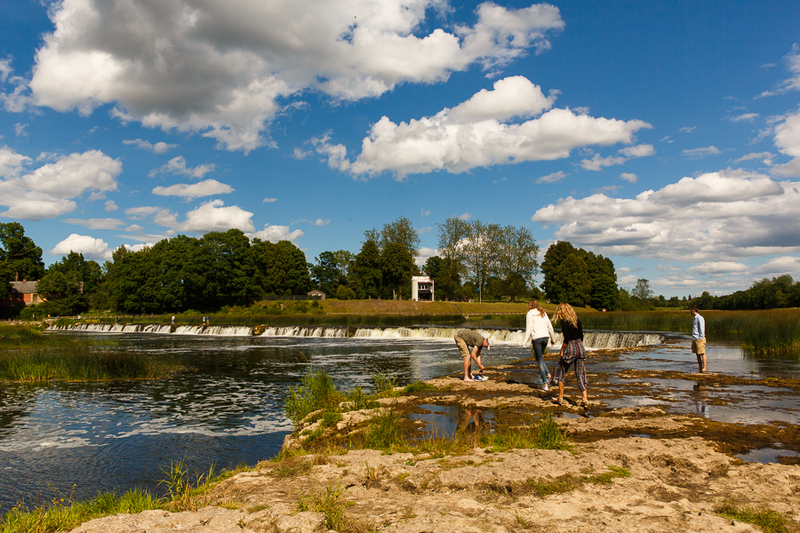 How could we come to Latvia without walking across the widest waterfall in Europe?? Off go the shoes and socks, but the real question is, will anyone go under? Hardis thought I should be reminded that I have kids at home to return to, so don’t go too crazy. Laura, at the edge of death. Only after we crossed did Gatis tell Laura and Tayla that it’s an old Latvia saying that if a girl will cross the falls from left to right, or maybe the other way around, I can’t remember, then she will marry a Latvian man. I should doublecheck on that saying, but let’s just leave it at that, because it makes for a good story. 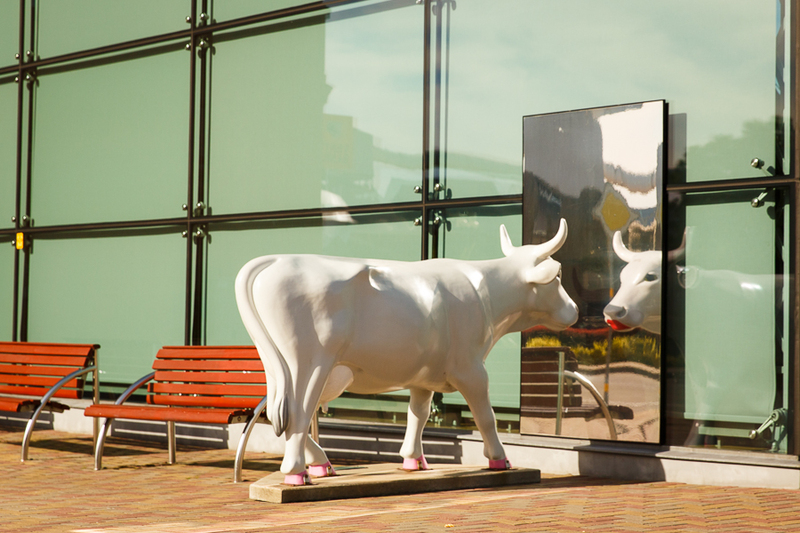 One of our final destinations was Ventspils, a port town with an amazing assortment of cows. This one was just one example I snapped a photo from while in the car. Doesn’t this look like Oregon? 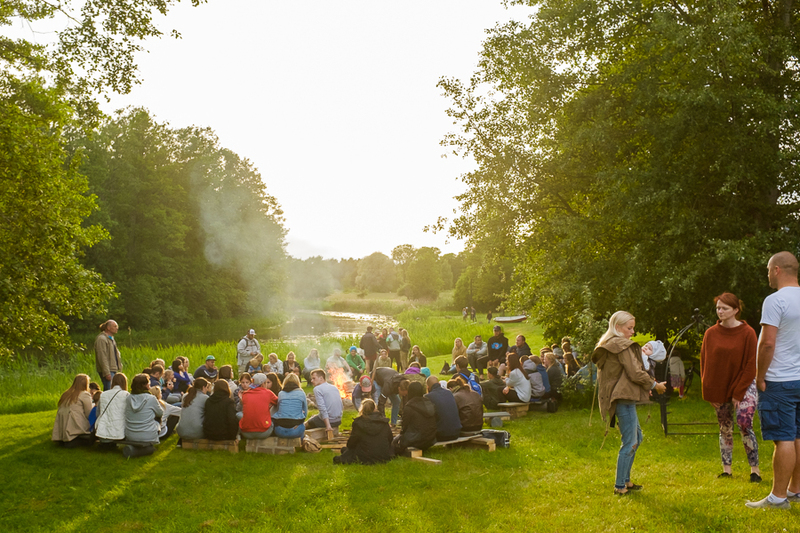 Campfire, singing by the fire, sausages, and friends made the celebration of Midsummer Holiday feel so much like home. In fact, it was a little eerie to run into more Americans here than we expected. This included a group from Oklahoma, Katie Leatherwood (who I swear I’ve seen before, she said she’d been in Oregon not too long ago), and a group from an orphanage who immediately asked us if we knew Laurel Luke. Small world! 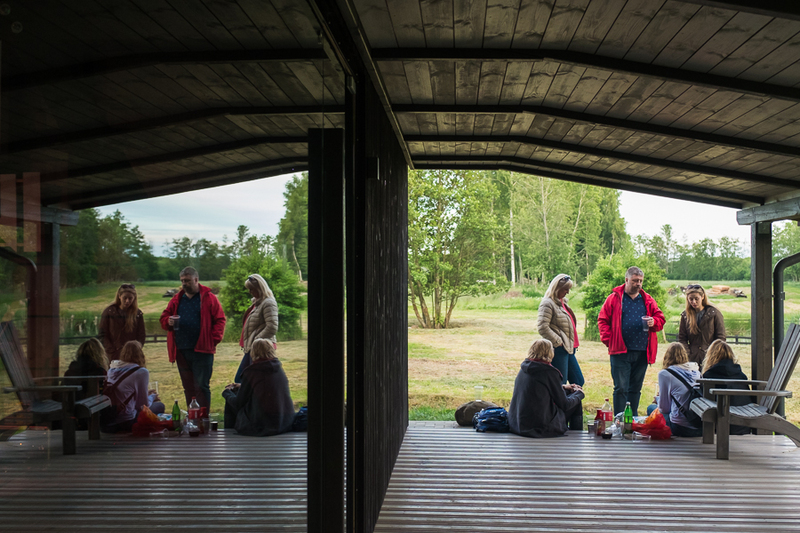 Our hosts provided us with a great picnic and company while at the camp, or for that matter, all week long! Brian brought his fishing pole and had already gone with Roberts and Erik, but this was another great opportunity to try as well. 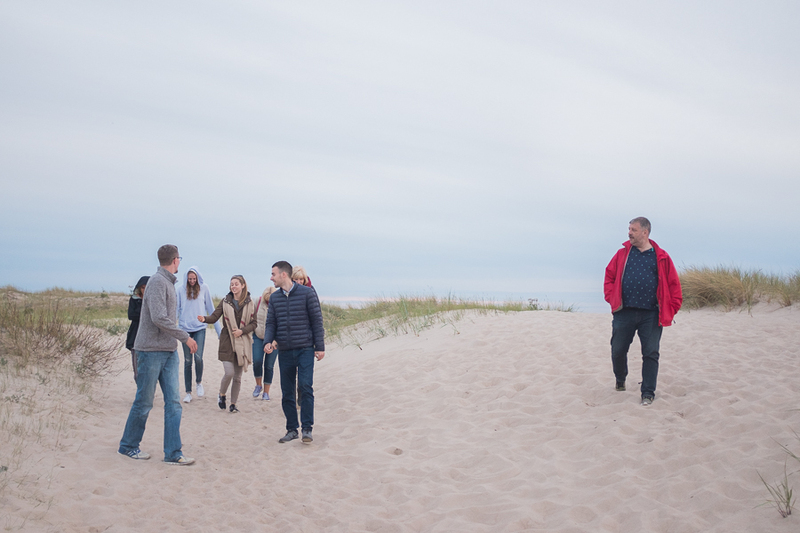 Sunset at the Baltic Sea…..at 10:22PM!! It didn’t get mostly dark until midnight. 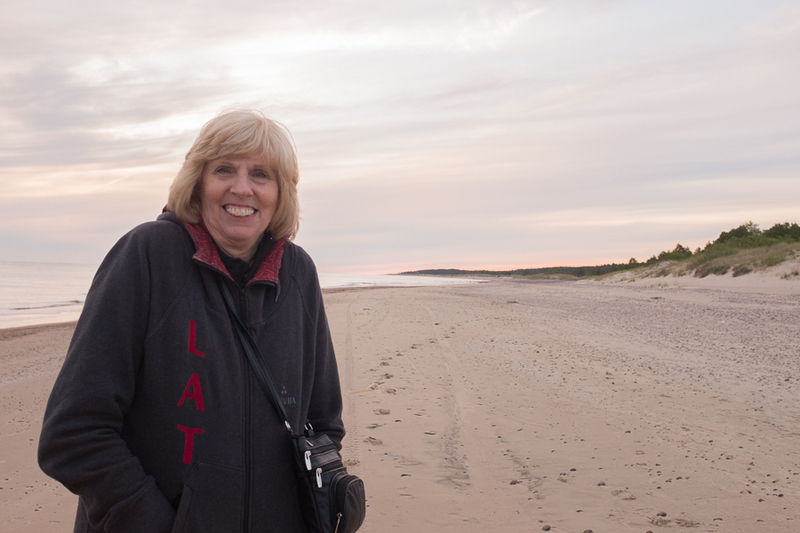 Carol was thankful for Gatis lending her his sweatshirt, because at this time of day on the Sea, it was a little chilly. Once again, travels with our hosts and friends is full and exciting. We are so thankful for their time! 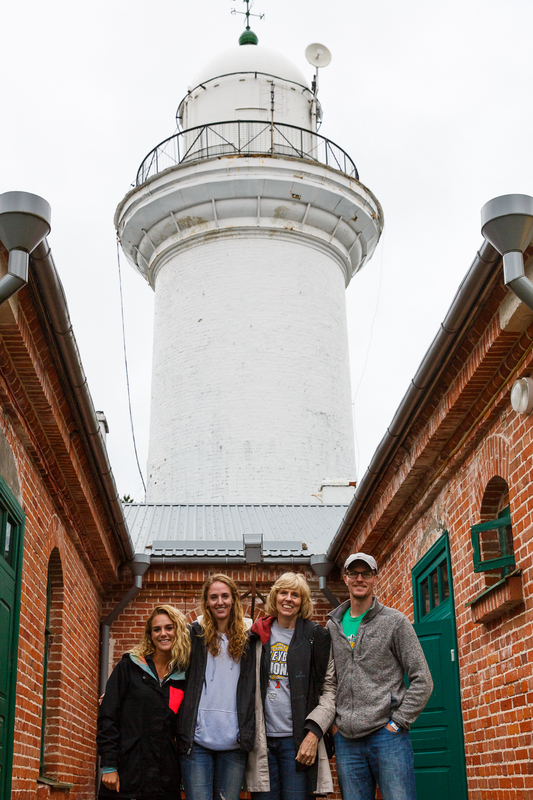 The lighthouse was like home, but the Latvian music and dancing going on to Brian’s left brought us back to Latvia. The people there were still celebrating their holiday, which seems to last all weekend long. 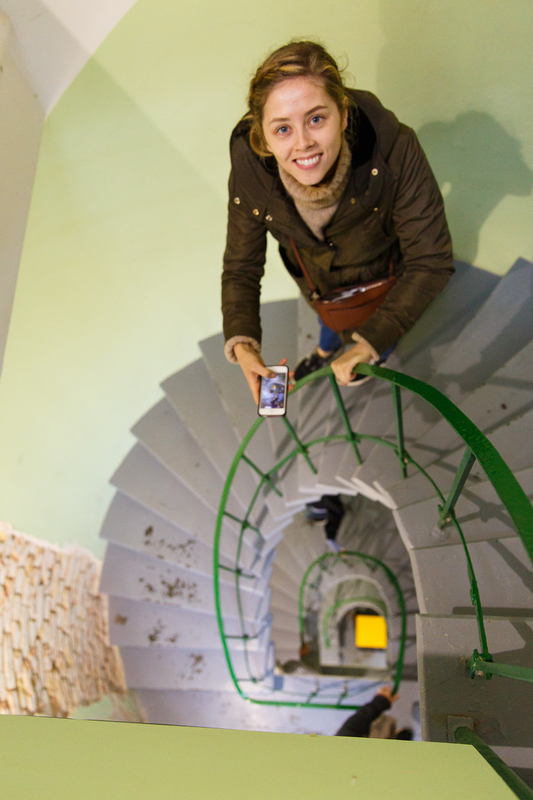 The lighthouse is 19 meters tall, which doesn’t sound tall until you look to the ground. The extra height above the beach is because the lighthouse is located on a hill. This isn’t unusual for us, but after spending a few days here, we began to realize how noteworthy seeing a hill is. I have only noticed two other hills since being here and both of those were man made. 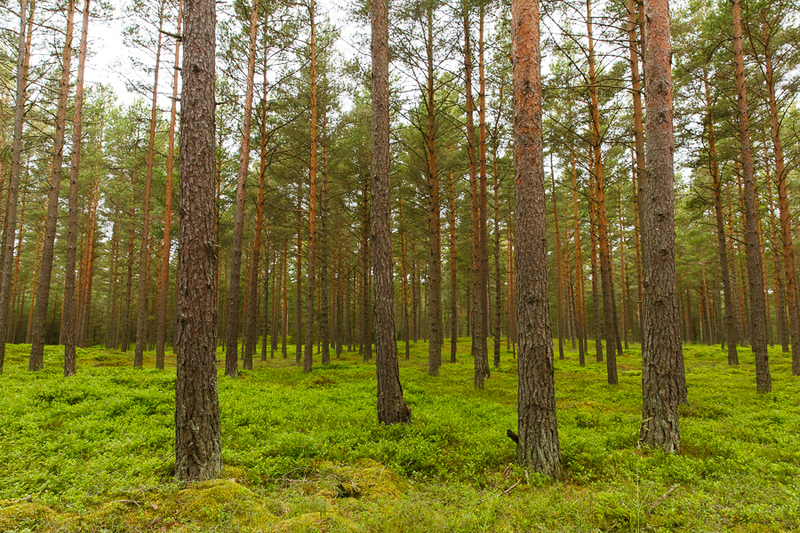 Finally, a photo of a typical Latvian forest. The shrubs on the ground are blueberries, small and green now, but later the ground must be covered with them! Next postI’ve got a new friend!